Following a log-moving demonstration with a $1.5-million forwarder at Friday morning’s Paul and Genie Mortenson Forestry Expo, Miller Timber Services’ Matthew Mattioda threw out a general question to a group of local eighth-graders. Miller Timber was featured in Ford’s “We Own Work” campaign. Miller has used Ford trucks in our forestry operations since we began more than 30 years ago. Philomath, Oregon – “Getting the job done whatever it takes” is the Miller Timber Way and that is at the heartbeat of Miller Timber Services, Inc. A 30-year old company, Miller timber is built on the traditions and heritage of the West. Miller Timber prides itself on upholding the Miller family heritage, which began in the small town of Siletz, Ore. Through the years, Miller Timber has relied on Ponsse equipment to power its cut-to-length operations. Everyone in the company is called to “Ride for the brand.” They look out for one another. They watch each others’ backs. 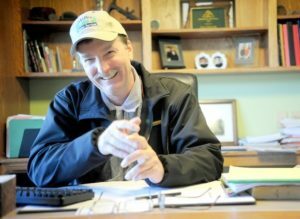 Steve Kelley, Professor and Head of the Department of Forest Biomaterials, North Carolina State University, Raleigh, NC. Representing the Wood Science & Engineering Department, Dr. Kelley graduated from OSU in 1979, with a B.S. degree in Forest Products. Paige Fischer, Research Social Scientist, Western Wildland Environmental Threat Assessment Center, Pacific Northwest Research Station, U. S. Forest Service, Forestry Sciences Laboratory, Corvallis, OR. 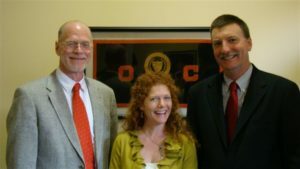 Representing the Forest Ecosystems and Society Department, Dr. Fischer received M.A., M.S., and Ph.D. degrees from OSU’s College of Forestry. Lee Miller, Chief Executive Officer, Miller Timber Services, Philomath, OR. Representing the Forest Engineering, Resources and Management Department, Lee Miller received a B.S. degree in Forest Engineering in 1980. While economic challenges are not new to the logging industry, logging communities in the United States have been particularly hard hit over the past three years. According to the Bureau of Labor Statistics, the number of loggers employed in the U.S.dropped from approximately 59,000 to 47,000 between December 2007 and December 2010 — a workforce reduction of twenty percent. Job losses have slowed in recent months, but the industry remains at extraordinarily low levels of employment. The prospects for recovery may well hinge on the industry learning from the past and adopting new operations strategies going forward. For North American logging contractors who have survived the challenges of the recession, two specific strategies can help make the most of every business opportunity in 2011: embracing information technology and diversifying their operations. The ongoing mantra for loggers has been to sustain operational efficiency with fewer resources. Technology systems that monitor equipment operationand performance are key to achieving efficiency. John Deere’s JDLink™ Machine Monitoring System, for example, provides state-of-the-art access to fleet location and utilization and maintenance management tools. By remotely connecting logging contractors and dealers to equipment in the bush, such monitoring systems provide up-to-the-minute data, including average fuel consumption, driving distance per load, completed loads,and tree species and assortments. With ready access to this data, loggers are able to quickly make educated maintenance decisions. 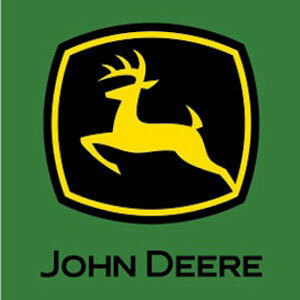 The result is better Nate Clark, Manager, Forestry Marketing, John Deere efficiency across machine performance, increased uptime, and lower daily operating costs. To remain productive and maintain profit margins, loggers need to serve multiple geographic and specialty logging markets. New revenue streams within North America can be a key to business success in the coming years. From clear cuts and thinning operations to industrial roundwood and biomass, diversification can create security and opportunity. To facilitate this diversification,many equipment manufacturers now offer a number of machines that can handle multiple tasks. There is also power in numbers. 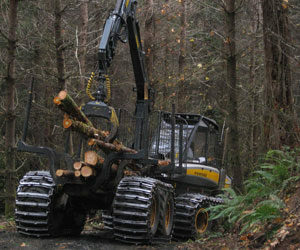 Some loggers and contractors have opted to form larger logging businesses. While these businesses haven’t displaced smaller operations, they may provide a stronger foundation upon which to weather future economic downturns. Ultimately, loggers must create competitive advantages for themselves in a market that increasingly necessitates innovation to win more contracts and achieve profitability. “He was one of the first loggers to diversify his business,” said AOL executive vice president Jim Geisinger. “Every business has its own business model, but I think there are others that look to him as a very successful business.” Miller’s secret to diversification? No one job is more important than another. That advice is serving him well. Miller Timber Services, which employs 140, is alive and well during one of the hardest times for this industry.